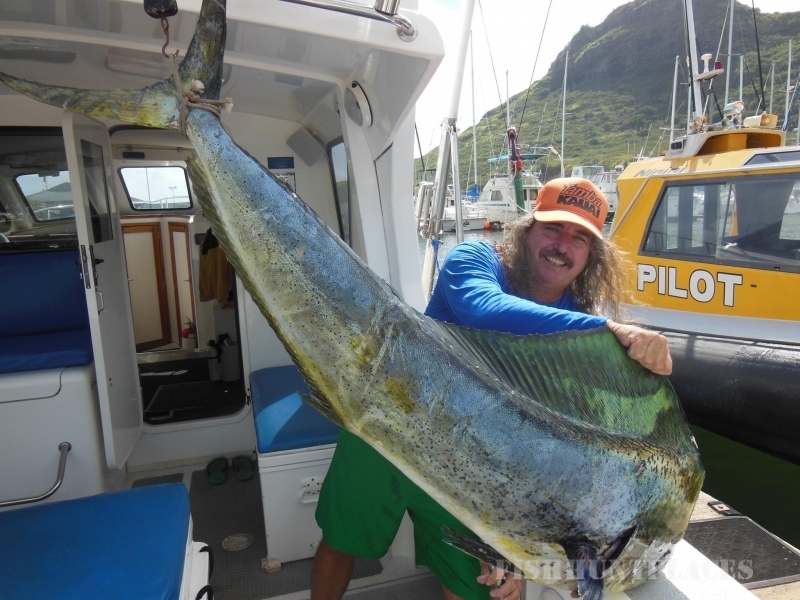 We believe that Captain Trips Sportfishing Charters provides the best sport fishing in Kauai Hawaii! We offer deep sea fishing aboard the finest sport fishing vessel on Kauai, the Mele Kai, which is skippered by top Captain Harry Rivera. 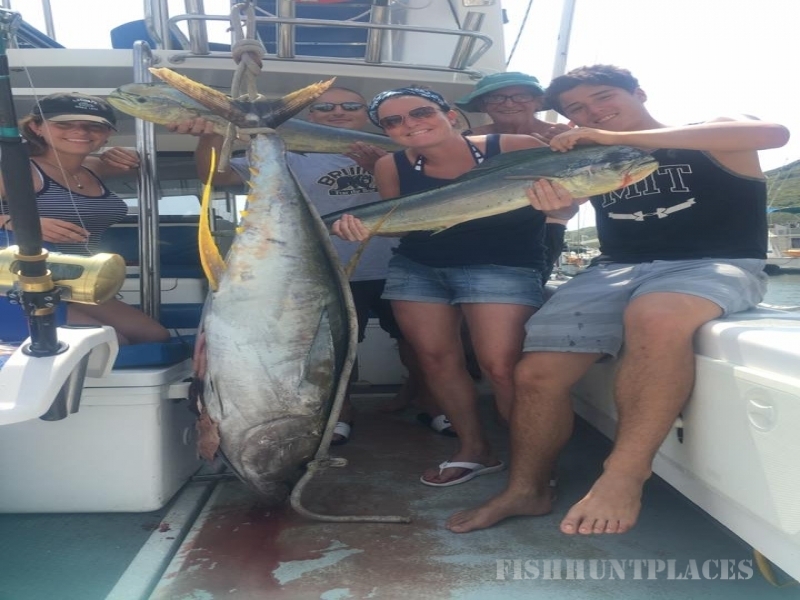 Come see for yourself why fisherman from all over the world choose Captain Trips Sportfishing Charters to fish in our beautiful Hawaiian waters every year. We promise that fishing in Kauai will be an unforgettable experience. A pioneer Hawaiian deep sea fishing, Captain Trips Sportfishing (formerly C-Lure Fishing Charters) made Kauai home base because of its location. As the Northern most Hawaiian island, fishing in Kauai offers one of the shortest running times out to the deep water beyond the island shelf. These grounds are productive all 12 months of the year for a large variety of species. 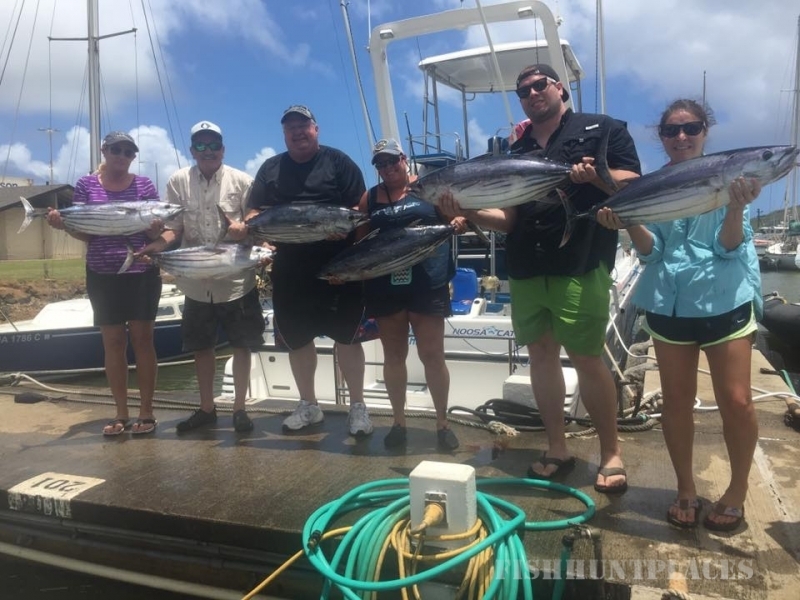 On board our fishing charters you will be in hot pursuit of an abundance of big game fish including Blue Marlin, Striped Marlin, Spearfish, Wahoo, Dorado, Tuna, Barracuda and more. 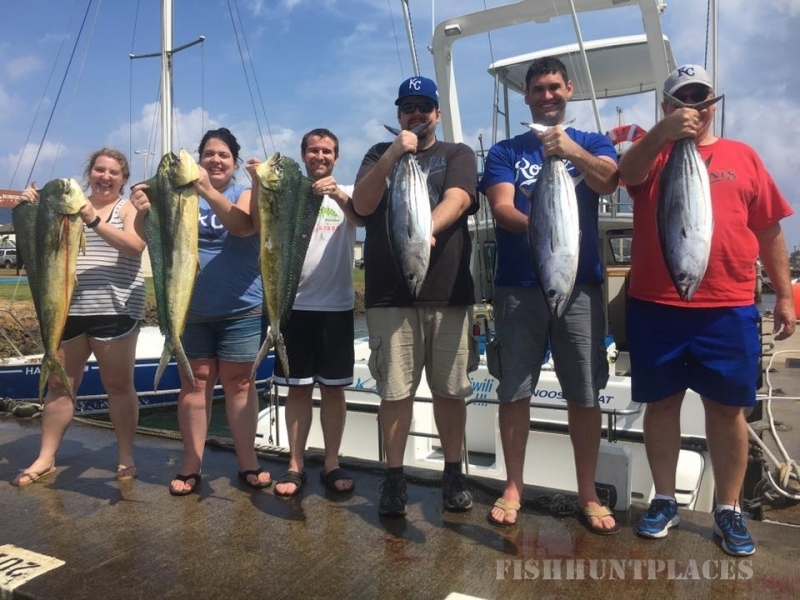 On a Captain Trips Sportfishing Charter we provide a state-of-the-art boats, experienced Captains, professional crew members, fishing tackle, bait, soft drinks, bottled water, your fishing license, all port fees and taxes, lots of sun and an exciting fishing adventure. All our boats comply with all federal, state and local laws and regulations. All our friendly Captains and crew members are fully licensed and have many years of experience as well as a great knowledge of the area. 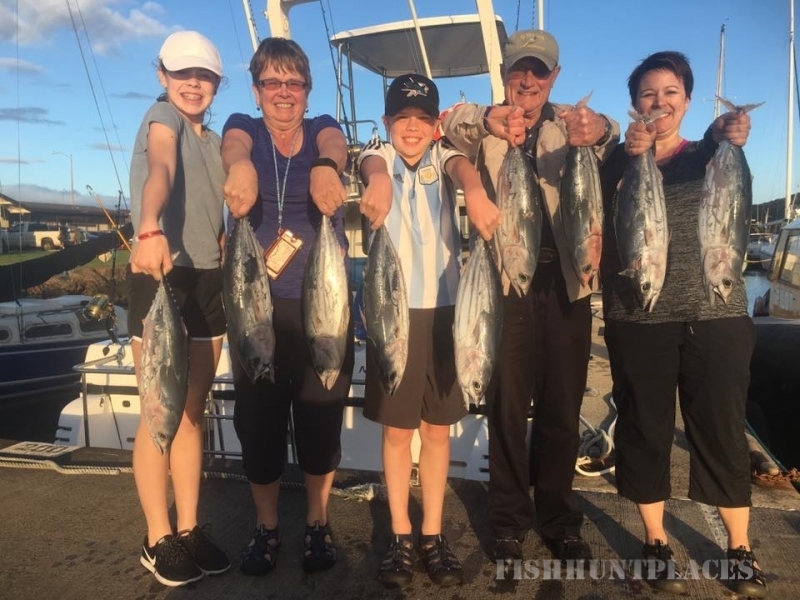 If you have any questions, require more information, a fishing report or additional photos of either our boats or recent catch, please check out our website or contact us at (808) 634-6204.